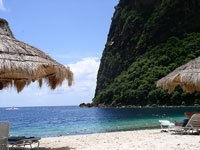 The pristine beaches and emerald waters of St Lucia draw in hordes of visitors every year. The island has earned the title of world's leading honeymoon destination no fewer than eight times, and with good reason. Most guests arrive on cruise liners at the island's main port, Castries, where they can go hunting for souvenirs at the Castries Central Market. 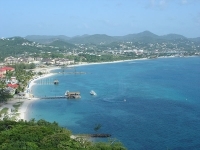 Many then head for the white sands of Sugar Beach and enjoy snorkeling in the crystal clear waters. 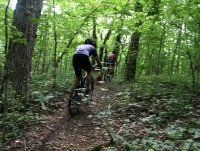 More adventurous souls can enjoy a mountain bike ride beneath the dense rainforest, or brave a zip-line tour through the tree canopies. 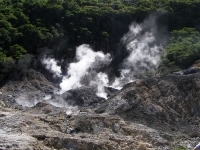 A visit to the fascinating Soufriere Volcano with its bubbling sulphur springs is not to be missed. 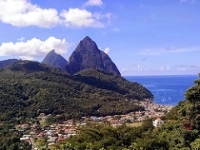 Likewise the UNESCO-listed twin peaks of the Pitons, which await the daring hiker. 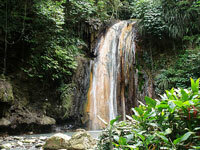 Diamond Falls Botanical Gardens offers a stunning retreat from the world, with its astonishing variety of tropical fauna and flora, hot mineral springs, and rainbow coloured waterfall. 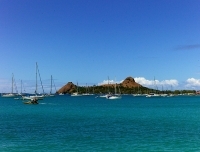 The Pigeon Island National Park is also popular among tourists for its pristine beaches. For the best panoramic views of the island, visitors can head up to the old town of Vieux Fort. 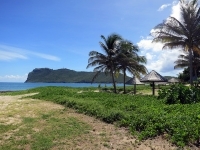 Not just the domain of the newly weds, St Lucia has plenty for the whole family. 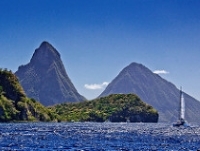 Children can enjoy attractions such as the safe swimming beach of Anse Chastanet, and pirate-themed sea adventures.